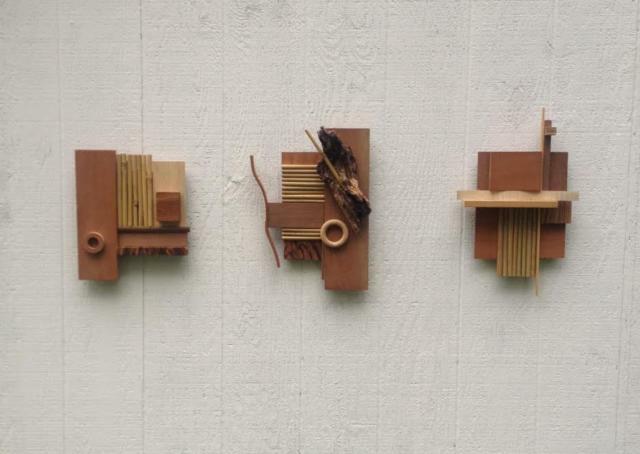 Bamboo, mahogany, walnut, cherry, zebra and pine wall sculptures. Each until 18" x 4" variable installation approx. 48"